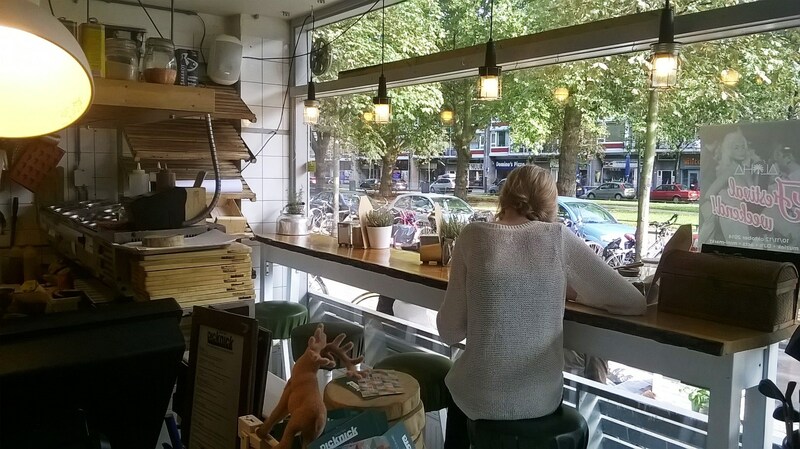 There are several places where you can have a good brunch in Rotterdam. 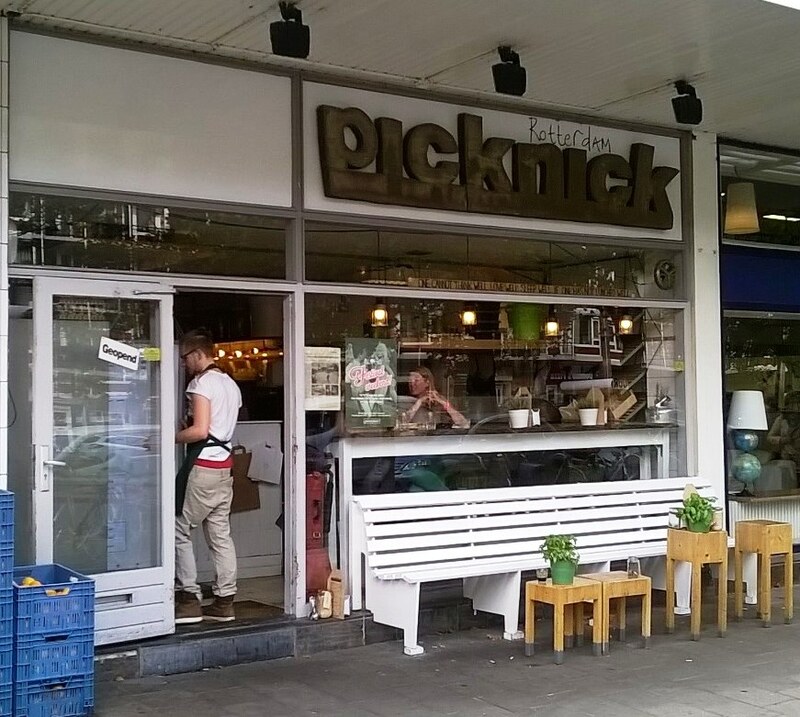 We frequently visit Picknick. 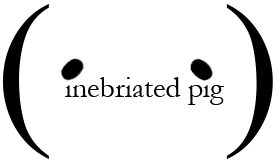 This place, with its distinct hipster yet unpretentious vibe, is always busy, especially in the weekends, so get there early. During peak lunch hours you’ll probably have to wait for a table or get squished between several people at their long picnic tables. There’s more room in the summer because they open up the terrace in the back, but that just means more people will come. To drink I had a karnejus, which is butter milk (sour) with orange juice. Sounds gross? It isn’t. Though if you don’t like sour, yogurt-like drinks, obviously you won’t like it. Pano had a cappuccino and a freshly squeezed orange juice. 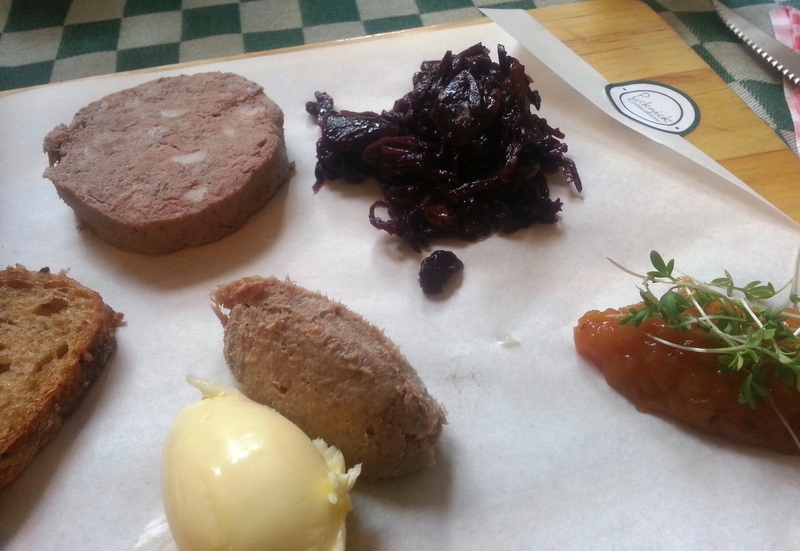 Pano wanted to order his usual, the croque monsieur, but unfortunately they were out of that, so he settled for the pate and wild goose rillettes with a red cabbage, apple and raisin compote. He said the rillettes had a nice creamy texture without the stringiness you sometimes get with rillettes, and the pate was good but nothing special. The old fashioned Dutch red cabbage compote provided a nice counterbalance to the richness of the meats. 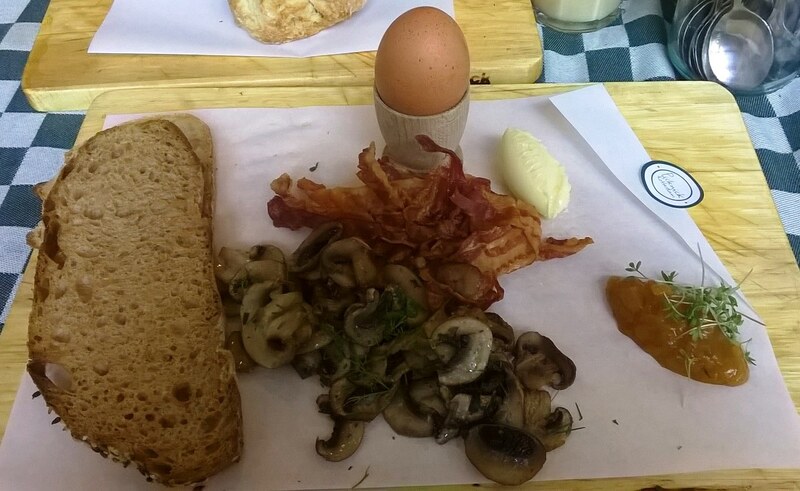 I had the small breakfast platter: toast, egg, bacon, mushrooms, and onion compote. The egg was a bit overcooked for my liking, but then again I like my eggs very soft-boiled and runny so I can dip my bread into it. The yoke was still creamy in this one so all was not lost, I peeled the whole egg and broke it into chunks on my toast. The mushrooms were nicely sautéed, and the bacon was crispy and salty. Afterwards we shared the scone with clotted cream and homemade jam, though when I say share, it usually means I couldn’t finish it by myself and offered the rest to him. 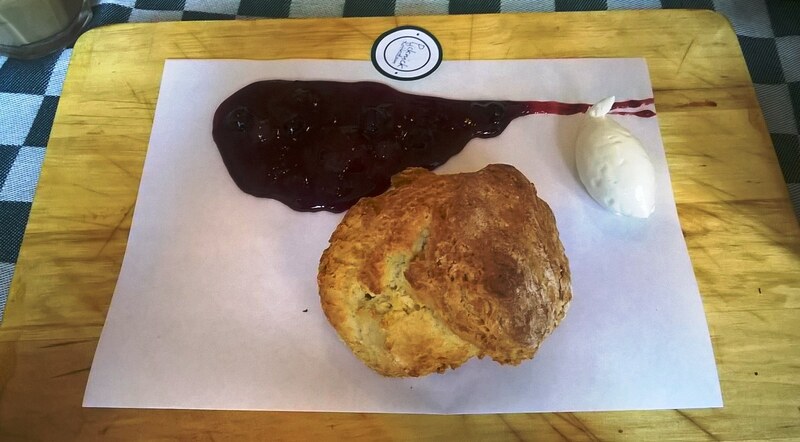 The scone is flaky and buttery, but could be slightly saltier, and the jam is sweet and tart with chunks of berries in it. Other items on the menu we frequently pick, other than the croque, are the homemade sausage roll with homemade ketchup, and the eggs with truffle mayonnaise to which I usually add a side of bacon. Breakfast just isn’t complete without bacon. They add items to their menu every now and then, but their simple formula has worked well for them: locally sourced ingredients and pure flavors. The main dishes cost about 6-8 Euros, and a scone and other small dishes are in the 3-5 range. Absolutely worth a visit!